Welcome to the National Diving & Activity Centre Dive School. 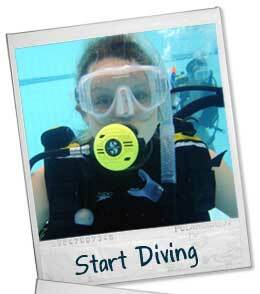 Whether you're a complete beginner who fancies a try-dive in the pool, or a seasoned veteran who wants to progress to new depths or start instructing; we have a wide range of competitively priced courses, delivered by our experienced and qualified instructors. All recreational and technical scuba training at the NDAC Dive School is provided by ScubaQuest Ltd.
Based at the National Diving & Activity Centre, ScubaQuest is run by highly experienced instructors and divemasters who focus on the safety and quality of your dive training, to provide the best student experience possible. ScubaQuest can offer courses, support and advice for an extensive range of recreational and technical diving from a range of agencies including Scuba Diving International (SDI), Technical Diving International (TDI) and PADI. 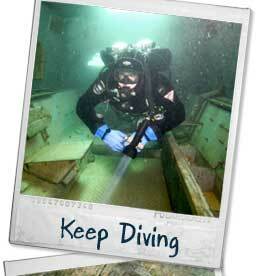 If you want to 'Take the Plunge' and just give scuba diving a try you could try our Try Dive Experience. If you want to get a qualification that will allow you to dive anywhere in the world up to 18 metres then our SDI / PADI Open Water Courses are for you. You can even start your course online with the e-Learning system enabling you to learn to dive in the comfort of your own home! To find the course for you use the menu above and select one of the section headings. It is also worth watching the site news pages for any special offers or promotions we may be offering. 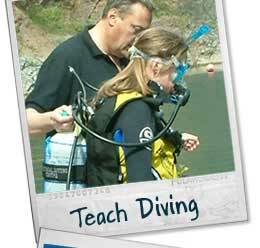 Scuba diving courses and experiences also make great gifts for friends and loved ones. If you're stuck for a birthday gift idea, all of our courses are also available as NDAC GiftCards. If you have any questions about our courses, or you want training in a particular area not currently covered here please contact us or pop in to our offices at the National Diving & Activity Centre for a chat. As we are based on site at the National Diving & Activity Centre, we are able to provide flexibility in our training schedule and are therefore more than happy to discuss your specific needs and requirements. 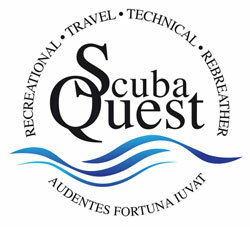 The NDAC / Scubaquest team. For Speciality Courses we provide custom courses on request throughout the year to suit your time schedule. Contact us for further details and to arrange a date. 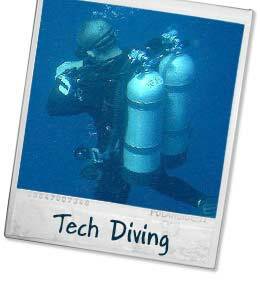 For Technical Diving Courses we provide custom courses on request throughout the year to suit your time schedule. Contact us for further details and to arrange a date.